Hosting a big event? 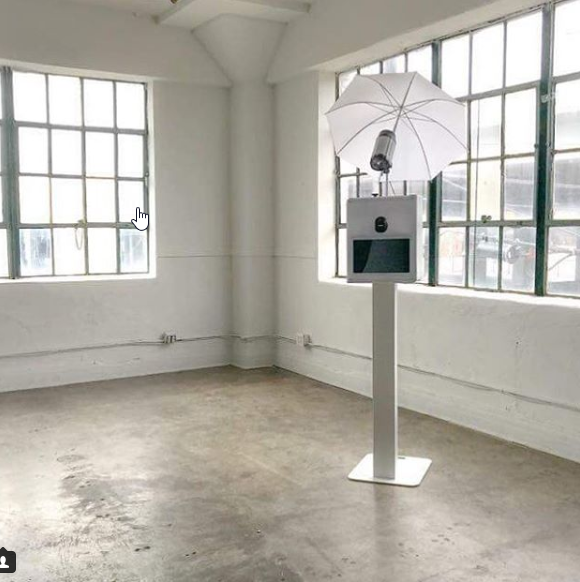 Don't cram your guests into a tiny booth - rent a spacious open air photo booth! With clients including the Detroit Tigers, Mercedes-Benz, and more, we’re Metro Detroit’s answer for photo booth fun! 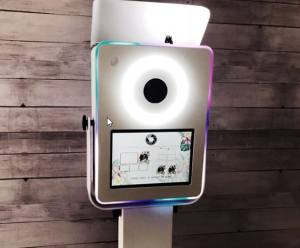 Our open air photo booths are a great way to get your group involved in the fun, mainly because we can fit at least 12 people in a booth at a time. This means shorter wait times and a larger space for your guests to strike their fiercest poses! What’s so great about our open-air photo booths? 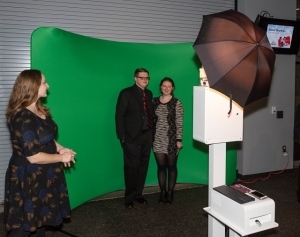 Interactive Green Screens - Forget basic curtain backdrops; green screen technology provides any background you desire! Guests can choose multiple background choices to customize the appearance of their photos. 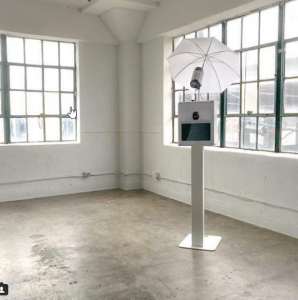 Fits a Crowd - Our unique studio-style setup enables massive group photos of 12 or more people at a time. Open air booths are clean and modern in appearance and can be set up in any venue with only 60 square feet of space. 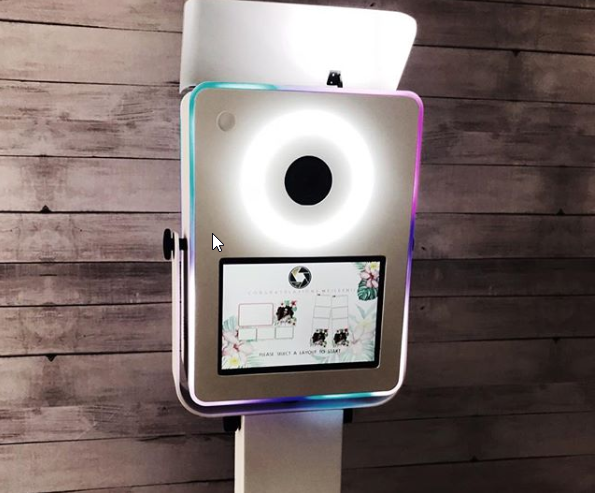 Social Media Sharing - All of our booths allow your guests to email or text photos from the booth directly to their smartphone. Alternatively, photos can be uploaded and shared on networks such as Facebook and Instagram! Professional Graphic Design – If you can dream it, we can create it. We have in-house professional designers that can create just about any unique design to fit the theme of your event. We can incorporate corporate logos, custom text, dates, and engagement photos. Studio-Grade Photos - Utilizing DSLR cameras and professional studio lighting ensures that every single photo we create will look stunning. Our booths create the feeling of a professional studio and will make your event unforgettable. State-of-the-Art Equipment - Your guests can feel free to print as many photos as they want depending on their package. 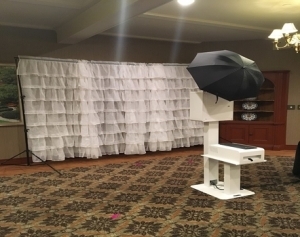 Our photo booths feature fast-printing dye sublimation printers that produce professional, lab-quality photos that take only eight seconds to print. Photo Booth Attendant - While the photo booth runs by itself, we still like to provide a fun attendant to make sure everything runs smoothly. Whether re-filling the ink cartridges or just laughing with your guests, our goal is to make sure you have a 5-star experience! 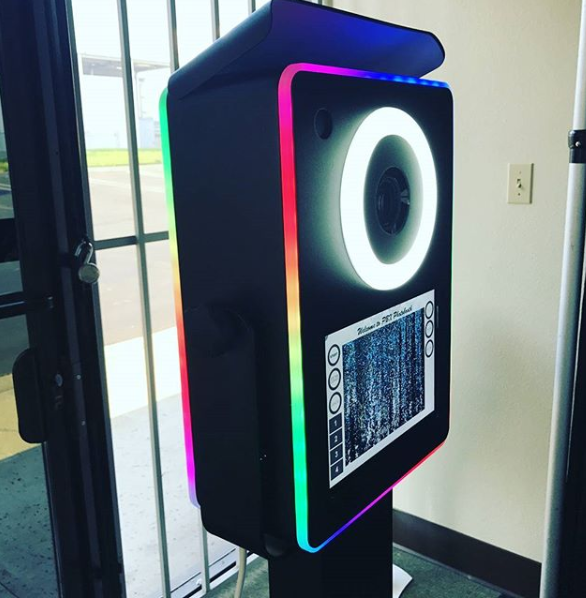 Cartoon-Style Photos - We are one of the only vendors in the country that offer exciting innovations with photo booths! When you book with us, you have the option of getting cartoon-style digital prints for you and your guests. Simply put, we’re the clear forerunner when it comes to a photo booth experience! Ready to make your next event one to remember? Reserve an open-air photo booth from FotoBomb today!